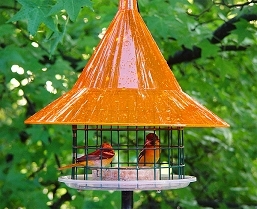 Original Caged Seed Feeder... 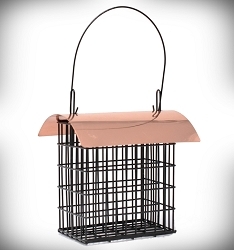 Style with Function! 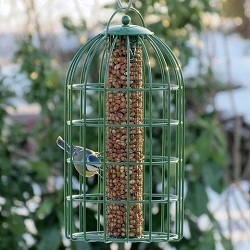 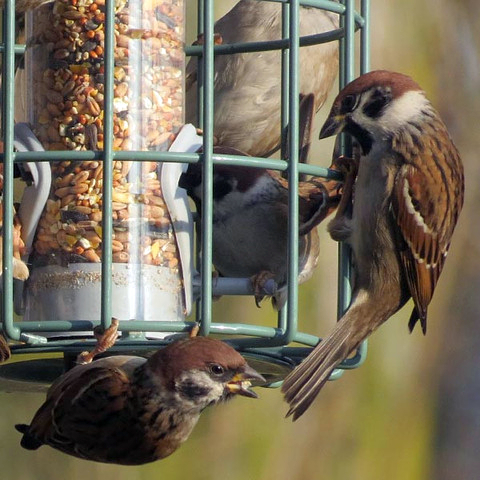 Stylish and beautifully made, the Nuttery Original Caged Seed Feeder is designed to attract a wide variety of birds year round! 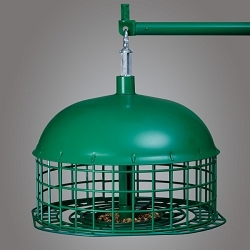 The tube reservoir, lasting metal frame, and soft green color add a classic look to your backyard, for a welcome station. 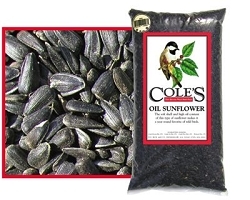 The seed tube can accommodate .74 lbs. 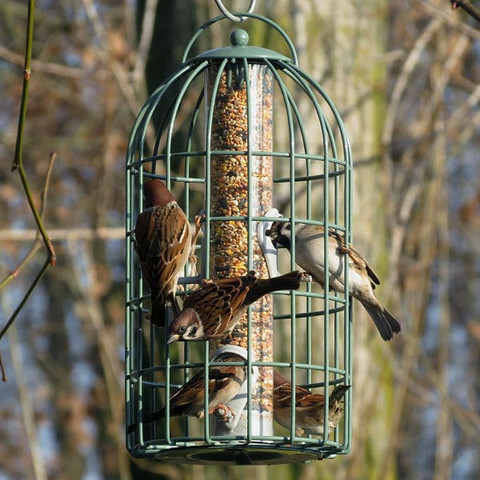 of seed, and the four ports provide plenty of dining spots. 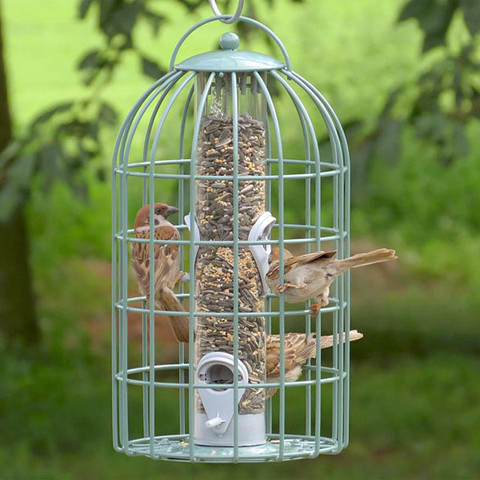 Gray plastic around each port reinforces it, and a perch beneath each allows birds a place to rest. 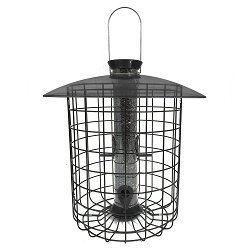 A durable, metal cage surrounds this seed tube, allowing small birds to reach the feeder while deterring larger birds and squirrels. 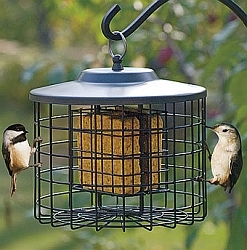 The 2” tall and 1.25” wide, rectangular openings are just the right size for chickadees or wrens, so they may dine undisturbed. 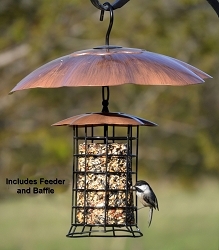 A metal cap covers the tube, protecting seed from rain, and it slides off the top for refilling the item. 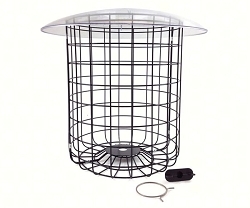 Display this unit on its included, metal bracket for exciting adornment, or hang it from a hook using the metal loop at its top. 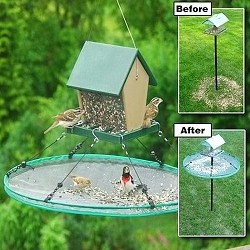 The base tray may be removed for seasonal cleaning, and the soft green color enhances nearby foliage. 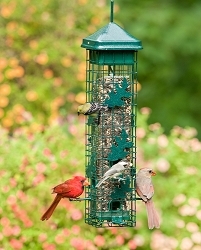 Bring a songbird selective feeding station to your yard with the Nuttery Classic Original Caged Seed Feeder.